Opulent reshapable heat styling cream. L'incroyable Blowdry Crème Hair Cream is rated 3.4 out of 5 by 8. The incredible formula you know and love, now for normal to thick hair. Opulent heat-sensitive microwax technology allows the hair to set and reset styles with ease. The cream is extremely repositionable and provides for 3X faster flat ironing (vs no product), unparalleled shape memory, 96 HR extreme anti-frizz control and 450* thermo-protection. 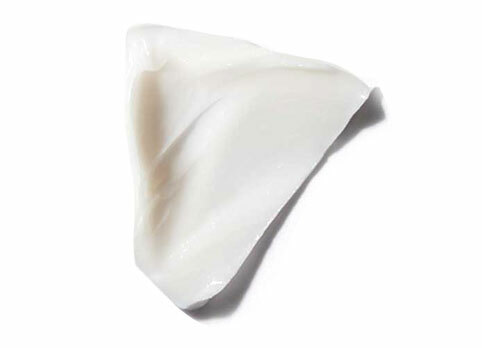 A styling milk with a creamy, gel-like texture that spreads through the hair easily. Excellent for blow dry creams and other styling products, its moldable qualities offer heat protection and soft hold. Rated 1 out of 5 by Emily27 from No Substitute for "Forme Fatale" I have used the Forme Fatale for several years and have absolutely loved it! The new L'incroyable Blowdry Creme Hair Creme left my fine hair too soft and did not give any body. It didn't help with the fine texture, and by the second day, my hair looked oily. Very disappointed in this product and will not purchase again. Rated 5 out of 5 by Dana T from Love this cream its amazing! This is my 3rd bottle and I would highly recommend it for thick curly hair! Rated 3 out of 5 by JennaJ from like product - but no substitute for curl fever I like this product and purchased as it was marked as a 'try instead' as curl fever has been discontinued. It is good, but definitely not like curl fever. That worked so great to help control curls and frizz, was my favorite product they sold! Rated 5 out of 5 by Jane Bond from Love the Kerastase L'incroyable Blowdry Crème! I absolutely love the L'incroyable Blowdry Crème Hair Cream! I have long, thick, and medium textured hair. Also, I have both color-treated and balayage highlighted hair. After blowdrying my hair with the Thermique line (extentioniste shampoo and conditioner) I decided to substitute this cream in place of the ciment thermique heat styling cream. The process, after conditioning, I combed my hair from scalp to roots on damp, towel-tried hair. Upon opening the tube, the smell was divine! The scent was a powdery perfume and very Chanel-esque with a hint of Dior (which I loved more than the grapefruit scent of the ciment thermique). Following the instructions, I then applied an a almond-sized amount to my palm and evenly distributed it through my hair. Noticing my hair required a bit more, I pumped out a half-almond to ensure good coverage. One thing to note, the beautiful scent did not overpower my hair once applied which was an initial concern. In small sections, I blowdried my hair with a round brush, and I believe this product cut my hair-drying time in half! One very important thing: the instructions say that this offer protects against heat up to 230 degrees. Thankfully, most hairdryers don't ever go this high!! But, if you do plan to use a flat iron, then please adjust the settings to 230 or less (for those who have a flat dryer with temperature settings). Results: This product softened, added shine, and had nice body. I absolutely love this creme - possibly more than my ciment thermique (hard to say until I use this more). Once blow-dried, I proceeded to style my long locks into beach waves with my flat-iron (turning my wrist to flip the ends into beachy waves/curls). Again, I had to set my flat iron at 230 degrees (normally set around 300 degrees), and I could still achieve the style. Finishing: I finished my spraying the hair with the Couture spray (medium-hold), and I spritzed the Kerastase Bi-Phase Ultime oil all over my hair for shine (the Bi-Phase Ultime smells just like Chanel Coco Mademoiselle!). I highly recommend this blow-dry cream and have only been using Kerastase exclusively for two weeks (having tried even more expensive luxury lines with dissatisfaction - Kerastase changed that!) The transformation to my hair has been phenomenal! I continue to receive compliments from everyone and this has improved my self-esteem. The highlight of my day is to wash and style my hair with these products! Lastly, it's important to know that for the best results it's good to use all of their products (not just one or the other, but as a collection together -- this is why I made sure to buy a series of styling products in addition to the shampoo and conditioner. For those one a budget, try slowly building one at a time, or purchase the travel sizes. A little product goes a long way. The fun part is that I am sending the samples to my mother and sister. I love Kerastase! Rated 1 out of 5 by Kim M S from Not So Much I use the Initialiste (love) and the Serum Therapiste (love), the Cement Thermique (love) and I put this on (small amount) and it made my hair limp? I did use the creme but, my hair did not turn out as well as without it. Would like to try tthe VIP spray but, I really just want lux volume but, sill soft but, mold-able shape.. Rated 5 out of 5 by ShirleyNJTX from Softness! Body! Hold! Oh my! FINALLY got around to trying my sample. Most cream stylers weigh my hair down and I typically use a mousse or volume styler as a result. However, have used this twice and have been very impressed with the results. Smooth body, soft hair and hold with my blow dry and curling iron. Loving this. buying immediately. Rated 5 out of 5 by LeahAZ from LOVE IT!! Drys hair easier, faster, & smoother. So happy with this new product!! I have long hair & cuts down the drying time & gives hair lots of body. I have curly hair & can blow dry it straight with no problem. Also, I can leave it in wet hair for soft curls with no blow drying.. I do add a little extra then recommended because hair is very long. L'incroyable Blowdry Hair Lotion Reshapable heat styling hair lotion.